On Sale Now! 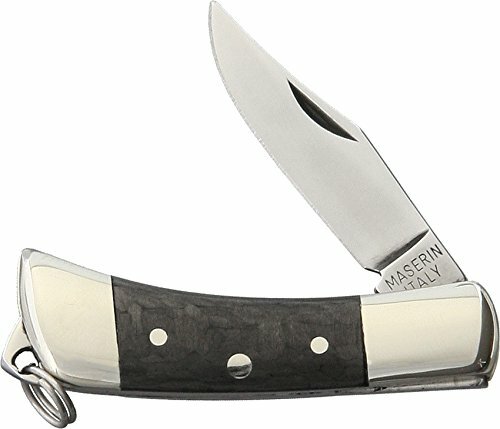 Save 9% on the Maserin Mignon Folder CF MAS707CN by Maserin at MZ Italia. MPN: Maserin. Hurry! Limited time offer. Offer valid only while supplies last. Closed: 1.5''; Blade: 1'' | Stainless | Standard Edge | Mirror Polish Finish; Handle: Carbon Fiber; Other Info: Nickel Silver Bolsters. Closed: 1.5"; Blade: 1" | Stainless | Standard Edge | Mirror Polish Finish; Handle: Carbon Fiber; Other Info: Nickel Silver Bolsters. BulkÊPacked. If you have any questions about this product by Maserin, contact us by completing and submitting the form below. If you are looking for a specif part number, please include it with your message.